Good morning, dear tea friends! 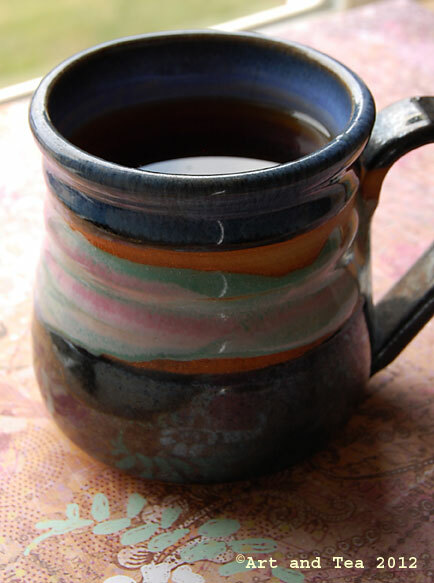 It’s great to be back here with you, enjoying a cup of tea again. Today’s tea is of the spider leaf variety, a Ceylon black tea from the Tea Bank estate, located in the Ruhuna district, on the southern end of the island of Sri Lanka. 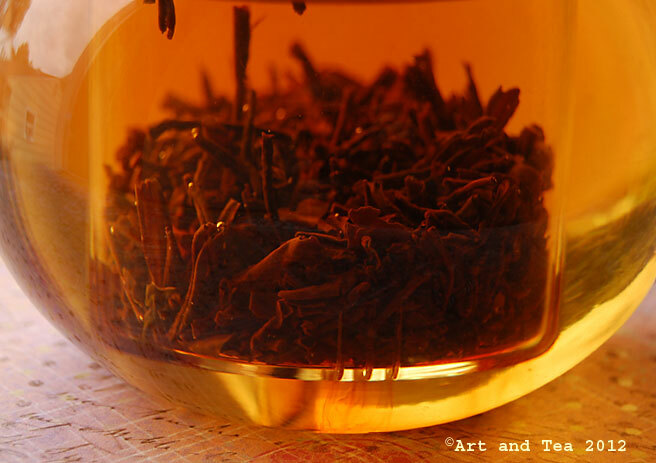 Spider leaf, or spider leg teas, are so named because of their long twisted shape. Tea growing in Sri Lanka was started in the late 1800s by a Scottish gentleman by the name of James Taylor. Up until that time, coffee was the number one crop until a rust fungus killed the majority of coffee plants. Starting with a basic tea cultivation knowledge learned in Northern India and 19 acres of land, he soon turned a small business into a very successful one, selling his tea for the first time at the London auction by 1873. 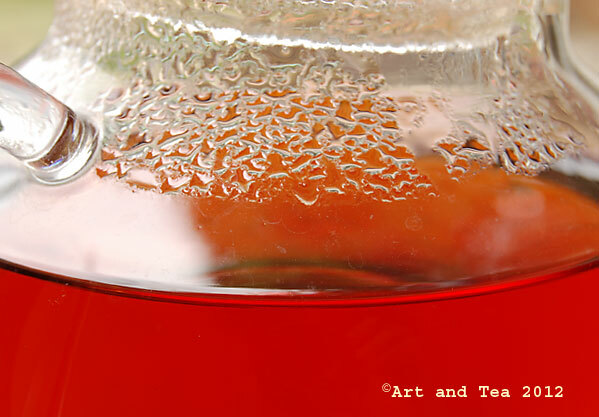 I steeped the tea for 4 minutes in boiling point (212F) water. Usually, I find this Ceylon black leaf style to exhibit characteristics more reminiscent of a China black tea, however, this particular tea definitely smells and tastes like a Ceylon. 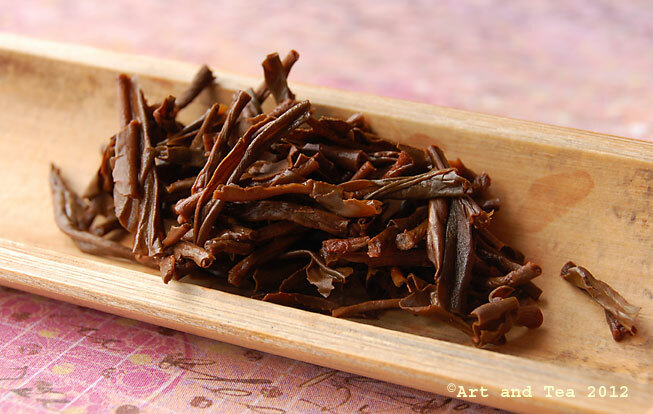 Its deep amber liquor has a light cedar-y aroma which is present in the taste. The flavor is very smooth and rich with just a whisper of caramel and raisin. I drank it plain, however, it would stand up very well to milk and sweetener with a longer steep time. We’re experiencing another wave of heat this weekend, with temps approaching 90. I personally don’t mind the heat. It’s the humidity that I find hardest to tolerate. So, I’ve got all of the fans going – ceiling, window and one directly on me to stay cool while I venture into my studio for an afternoon of play. 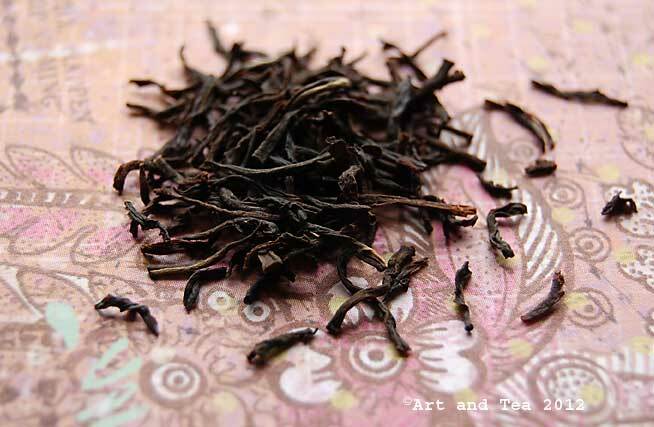 This entry was posted in Black Tea, Ceylon tea, Photography, Tea and tagged spider leg tea, Tea Bank estate Ceylon tea.